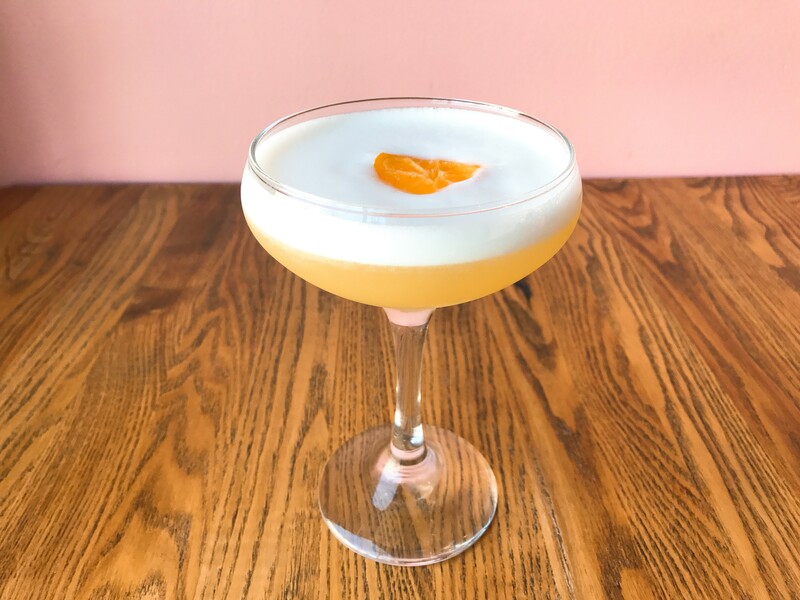 Calamansi Sour at Irenia, Our Drink of the Week! Starting last week, Irena in SanTana has a Happy Hour complete with pulutan (Filipino bar bites), discounted cocktails, beers and boilermakers available exclusively at the bar. We recommend kicking off with a calamansi sour and an order of lumpia. The cocktail makes great use of its ingredients—floral Kikori Japanese rice whisky, tart calamansi syrup and egg white—to offer something that balances the scales between sweet, bitter and strong. But it’s the egg white that gives this tangy drink a smooth, creamy body. 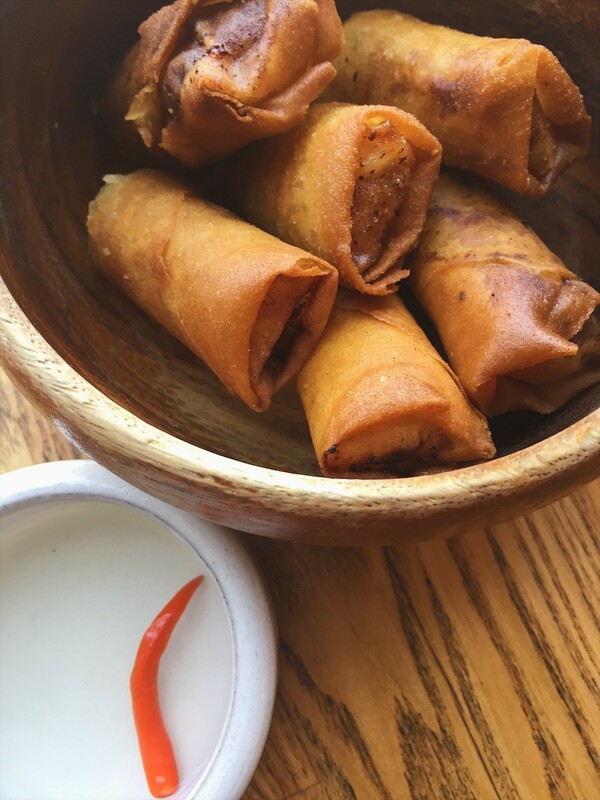 Chef Ryan Garlitos will also be offering new shareable dishes as daily specials, beginning with lumpia shanghai, a Filipino egg roll stuffed with ground pork, carrots and daikon radish. Rice bowls, previously only offered during lunch, will also be available at the bar during Happy Hour. Tagay to hopefully seeing some isaw and chicharon on the bar menu!